Cough is one of the most common symptoms of illness—whether large or small—in America. Coughs send roughly 30 million Americans to the doctor per year, who spend billions of dollars on cough medicine to remedy the discomfort. Over-the-counter (OTC) medications are well known and found in virtually every medicine cabinet across America, but do they work? Not really, according to the research and the general consensus among doctors. they are marketed to you as effective relief. But the truth is that not all coughs are created equal, and you may be able to get better quality relief by adopting natural strategies. There are several reasons you may find yourself covering your mouth as you try and contain a cough. You may have inhaled someone’s second-hand smoke, you might notice you’re throat is dry when you enter your bedroom, or you may be fighting an illness like a cold or flu. As one of the most common symptoms of illness in the world, a cough can also be your friend. A cough can act as a line of defense in removing potential toxins or unwelcome visitors from your body. It could also just be a reaction to eating spicy food or intense exercise. Coughing is typically classified under two main types: acute and chronic. An acute cough is caused by something temporary and can last for up to three weeks. Coughing becomes chronic when it lasts in excess of eight weeks. Here are some examples of each. In addition to these, there are also several health conditions that can cause coughing. Some include COPD, lung cancer, tuberculosis, heart failure, laryngitis, and cystic fibrosis, to name a few. 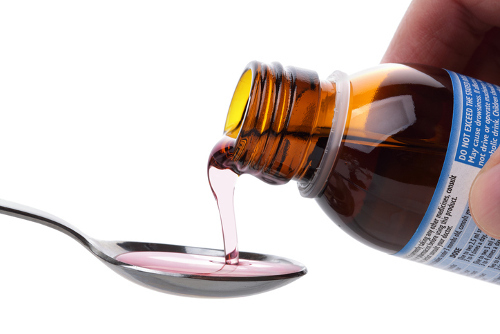 Is Cough Medicine Putting Your Health in Danger? There hasn’t been a new licensed medicine to treat coughs in more than 50 years, and why would there be? Companies are selling billions of dollars of cold and cough medicine every year and it might not even work! These medications are typically safe for use by children and adults alike, though they are not recommended for children under the age of 2. And they might not be the best idea for people who have existing chronic conditions like heart disease or high blood pressure. If you have either of these conditions, it’s a good idea to talk to your doctor before taking anything. Overusing cold and cough medicines can also present dangers. Some people do it unnoticed, by taking multiple products with the same ingredients or adopting the “more is better” philosophy (believing that if the first dose didn’t work, it makes sense to take more). Doing this can result in overdose. It’s also wise to abandon taking the medicine if you’ve been using it consistently for five to seven days with no relief. You should go in to see a doctor instead. This is especially true if the cough coincides with the appearance of other symptoms, like a rash or fever. Lastly, if it’s suspected the cough may be tied to a more serious condition, a visit to the doctor is highly recommended. Okay, so if OTC cough medicine doesn’t work for you, or you’d simply prefer to try something different, there are some natural methods you can try that may help prevent or treat coughs. Sounds simple, but making sure you’re adequately hydrated can be an effective way of staving off a cough, or at least making it less painful. Drink water throughout the day to keep your throat moist and to breakup mucus. All of these essentially do the same thing, open up the airways and clear mucus. Tea—particularly peppermint, lemon, ginger—helps to clear your throat and offer relief. Adding honey to your tea can also help. In fact, eating honey on it’s own can also act as an effective cough suppressant. A couple of teaspoons per day may help ease the pain and inconvenience of acute coughing. Drinking pineapple juice may help reduce coughs and break up nasal mucus. It may also help cut down on swelling and inflammation. If you want to try a tasty alternative to cough medicine, pineapple juice could be worth looking into. The menthol in peppermint can help cool your throat and ease dry coughs. It may work to thin out mucus and breakup phlegm, and can be easily administered through tea. Add 1 ½ teaspoons to a cup of hot water. You can also try thyme to relax tracheal muscles and inflammation, perhaps reducing the likelihood and severity of a cough. Add a couple of teaspoons to hot water and consume as a tea (after it’s been steeped and strained, of course). There is no surefire way to ditch a cough, and it might just be one of those things in life you’ve got to deal with when they arrive. If you notice some consistency in when and where you cough—certain rooms, environments, eating certain foods—it might be worthwhile doing an elimination diet or good cleaning to pinpoint the source. For example, you may have allergies to something you’re eating or have dust mites in the bedroom. Whatever the source of your cough, try to identify it so you can prevent it. Ashpari, Z. and Nall, R., “The Best Natural Cough Remedies,” Healthline, September 8, 2016; http://www.healthline.com/health/allergies/best-natural-cough-remedies#Overview1, last accessed February 13, 2017. “Cough,” The Mayo Clinic, April 26, 2016; http://www.mayoclinic.org/symptoms/cough/basics/causes/sym-20050846, last accessed February 13, 2017. Griffin, M., “Cough Medicine: Should You or Shouldn’t You?” Web MD, March 30, 2015; http://www.webmd.com/cold-and-flu/features/cough-medicine-should-you-shouldnt-you#3, last accessed February 13, 2017. Broder, J., “Cough Relief: How to Lose a Bad Cough,” Web MD, July 1, 2015; http://www.webmd.com/cold-and-flu/features/cough-relief-how-lose-bad-cough#1, last accessed February 13, 2017.